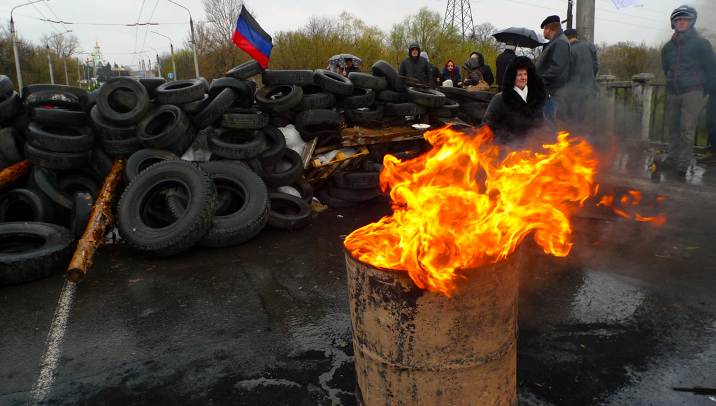 Tensions between Russia and Ukraine are threatening to spill over into armed conflict. In recent days, both the Russian government and NATO have published satellite images purporting to show substantial troop build-ups on both sides of the border. In Eastern Ukraine, government forces have been conducting “anti-terror” operations against armed pro-Russian separatists, drawing fierce criticism from the Kremlin. The mayor of Kharkiv, a major city in Eastern Ukraine, was shot in the back yesterday and is currently in serious condition in hospital. Meanwhile, the US and EU have announced they will be increasing the list of individuals in Russia subject to economic sanctions. But will sanctions increase the pressure on Russia to dial down the tensions, or will they make things worse? What can be done to defuse the situation and prevent a war? We recently spoke with Miroslav Lajčák, the Minister of Foreign Affairs of Slovakia. We put a comment to him from Ironworker, who questioned whether there was really a common EU position towards Russia in the Ukraine crisis. When we asked a similar question to George Vella, the Minister for Foreign Affairs of Malta, he highlighted how divided European governments were over how to respond. What would Minister Lajčák say? This crisis is too big and too close to be naive and expect that there will be a unanimous view among all 28 EU Member States. But, in the end, as is always the case with the European Union, we have arrived at a common position which was reflected in the formal conclusions published after our ministerial councils and prime ministerial council, and that is the official European Union’s position. One of the reasons Europe is so divided is that some EU Member States are concerned that tough sanctions against Russia could have a negative impact on their own economies as well, not least because the EU is dependent on Russia for 40% of its gas imports. We had a comment from Giuseppe, however, who thought these fears were exaggerated. He argued that Russia earns a lot from the sale of gas and oil to Europe, and he doesn’t think they will be willing to lose their huge European revenues. Would you agree? Yes, I would. Because, however tempting it might be, you can use the “gas weapon” only once. If you do it once, you are done, and no-one will trust you anymore in the future. And, as rightly stated, Russia needs its revenues from the gas exports as much as we need Russian gas. So, I don’t expect Russian gas exports to be misused in this ongoing confrontation. Have the EU sanctions been tough enough? We had a comment from Alejo in Ukraine who believes the EU have done nothing to help his country. He thinks the EU visa sanctions have given the appearance that Europe is doing something, but sanctions have done nothing to change the facts on the ground. How would you respond? It’s not the EU who should change the facts on the ground. You, in Ukraine, can change the facts on the ground in your country through consensual and common will – which I don’t see in Ukraine. Instead, we all see that Ukraine is very divided in assessing the current situation, what happened on Maidan and also where the country is heading. So, we are ready to assist Ukraine, but it’s also important that Ukraine assists itself first by introducing an inclusive political process so that no single citizen, no religious group and no national minority feels excluded from that process, and that they all support and understand what the government is doing. And, of course, Ukraine needs to introduce economic reforms – painful reforms – as well all did. And we are here to help, but there is only so much that we can do and the homework must be done at home. What can be done to defuse the current standoff between Russia and Ukraine and prevent a war? Will stronger EU and US sanctions help pressure Russia to dial down tensions, or will they make the situation worse? Let us know your thoughts and comments in the form below, and we’ll take them to policy-makers and experts for their reactions. make a union with russia also? Not until Putin is OUT ! yes, and then with north korea too! don’t support the fascist government of Kiev? No unions should be ever created with Russia. The right name for that country is TerroRussia. Yes, it seems that only russia is doing it wrong…for me is the oil & gas (money) question, like Iraq and Lybia. USA & Europe are playing with fire and like always people will be hurt. BE HONEST, PLEASE! Russia is the fascist, not Ukrainians. Stop meddling, enough harm has been done already. negotiations, there’s no other possibilites. Give choise to the people. Negotiations with Russia will lead nowhere. Russia is violent and never takes care of what others want. Exactly. Russia will only negotiate to win time and meanwhile will try to grab as much territories as possible. Russia only understands force and strong position. However it sees that Europe’s answer to its aggression in neighboring country is weak at best and uses the opportunity to expand its empire. I believe stripping of any power those with economical interest in Ukraine and leaving only the party involved to negotiate would really help. US is no saint, but it does not give a right for Russia to attack and dismember other countries – that is what they have done repeatedly in Moldova, Georgia and, now, Ukraine. You cannot justify crimes of Russia by saying that somebody did something worse – be it US, North Korea or ancient Rome. This is irrelevant to Russia. First of all this is not a war between Russia and the Ukraine. It is a war between the USA, with its European political stooges in tow, against Russia. Trying to sell the lie here does not wash no matter how you word it. How can Europeans be such fools? What is wrong with you? Why are you allowing the US hegemony of Europe and its people to run amock with our lives? And here is how they do it. The Russian government would never influence the media…. oh no. The bigger fool is the one that don’t see what is in front of him. Russia has a government that does not allow free press, that chase and kills journalists, that intimidates citizens and opposition parties. Which leads to court and condemned on false charges , anyone who raises his voice against Putin . A country that allows and encourages free play of neo – Nazi groups in their cities who were responsible for assaninating several black students in the city of St. Petersburg . A situation so out of control taht the city government created a express transportation to take and bring black students who attend the university . A government passes a law that discriminates against homosexuals. Is it this that European citizens are unaware? Russia is a country ravaged by 80 years of a fascist regime that did everything to destroy all that was cultural elite, people who feel differently. That is the Russia where Putin came from and this the Russia that he wants to restore. Don’t forget that Putin was member of the KGB, the political police responsible for the imprisonment and death of millions of Russian citizens. So don’t call us fools. We clearly see what is happening in that region. We know about the atrocities committed against the Tatars, about the killings and forced displacement which also led to the death of thousands of Tatars. We know of the massacres committed in the war in Chechnya under the command of fascist Putin. We know about the support of Russia to the fascist Bashar al-Assad that murders his own people in Syria. We know because we have free press. We know because none of us is arrested for speaking out against the government, by writing whatever. We know because we are free and that old Stalinist rhetoric of the American enemy don’t eludes us. Pity there is still so much people prisoner of old fascist slogans and know nothing of what goes on around them. Ignorance kills, as we have seen it throughout history. whatever you do, do not engage in an open hot conflict.. the economies of most European countries could not take it.. Stop meddling in Ukraine, let the Russians have their way for now and fight another day with diplomacy and closer ties/support for Ukraine… Europe must never become the chess-board ever again for Russia and America to play their power games..
are you by chance speaking of the “power game” that the U.S. played at the end of ww2 – a war we didn’t start. Which re-built your nations and kept all of you from speaking Russian today? Is that the “power game” you’re speaking of? Or perhaps the “power game” we played with Russia throughout the cold war where we spent vast, untold amounts of treasure to prevent Russia from carrying out its land grab in Europe for 40 years after that? Perhaps that’s the “power game” you’re speaking of. Listen, nobody is suggesting that America always does the right thing in the world, but there are vast numbers of people out there who are sick of hearing idiots blaming it for everything. The strong always make an easy target for the weak. Russia is a real threat for small neighboring countries. Putin is a new dictator building his empire which is becoming more and more similar to totalitarian regime. It’s funny, when Russia claims of fascism threat, while the Kremlin is build “new russia” ideology which is based on superiority of Mascovian people and Russians. 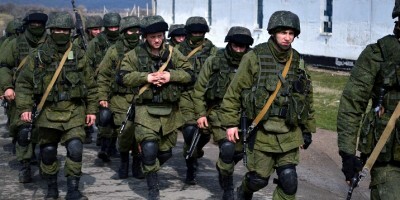 Russia has no right to invade any of its neighbors and should stop thinking as a savior. The country is on the brink of bankruptcy. Corruption is immense. People are dying from overdose, alcoholism and crime. Social welfare system is bankrupted. Health care system kills man faster than saves him. NOBODY WANTS RUSSIAN “ORDER” – because there is no order, just crime, abuse and injustice. When it comes to invading and bombing countries the USA (regardless of who is president) and its Euro lackeys are far, far worse than Russia since the collapse of the Soviet Union. Remember barely 10 years ago the invasion of Iraq on a false pretext that caused sectarian violence and 250k dead. When do we start sanctions and freezing assets of Bush, Cheney, Blair and drone king Obama? Besides, didn’t fascist groups and a neonazist/Banderaist party called Svoboda ‘help’ overthrow the government in Ukrains so they could install the ultimate self enricher Yulia Tymoshenko who is more than willing to take USA/EU bribes to sell off Ukraine assets for a fraction of their value? Tell me, who’s got the moral authority here? My previous comment got banned, probably because of the explicit language I used, sorry for that. What I want to tell to every reader of this thread, that I’m a citizen of Ukraine, I’m Hungarian by nationality, and here, in Ukraine does not exist any fascism or violence agains any non Ukrainian-speaking people. This Ukrainian agains Russian problem simply does not exist, this is only a way to destabilize and discredit the new government of Ukraine. I would like to ask every reader who does not really understand what is going on in Ukraine – don’t believe Russian media, when it’s saying, that Ukraine is ruled now by some fascists. Ukraine is currently in huge trouble, but not because of the fascist, but because of our previous president, Yanukovich, who is a criminal, and who stole (he and his gang supported by Putin) from Ukrainians approximately 100 billions of dollars! That is an unbelievable amount of money, and that is why Ukraine is now in a deep crisis. Only during the last 2 months we got an 80% inflation of our currency, the Hrivna (international code -UAH), this happened after Yanukovich has escaped with approximately 32 billions of dollars in his trunk to Russia. You do not have a new Ukrainian government. What you have is an insurgence of people paid by the US and the cohorts to usurp your previously elected officials. You have experience a coup. You have been infiltrated by corporate thieves under the guise of telling you you will be soon included in Europe as a european nation. And that when that happened the people of Europe who pay taxes fr their benefits of pensions, national insurance and so on, will side line that money to make you more secure. They are lying to you. The US, and more so the take over by them of Europe will do as they have with the tax payers of the US. They will, as they have with their own people, bankrupt the lot of us even more than they have already. Russia is a patsy for another Wall Street expansionist game. Do you know anyone who was paid in Ukrainian protests? It doesn’t take much of a brain to work out what is taking place if you are objective. You don’t have to pay anything like the amount you are suggesting. Lives come very cheap indeed when those who are being lead to their destruction want to believe in an extortionists story. What utter RUBBISH .. Ukraine and Russia are not on the brink of War .. America and Russia are on the brink, America is USING Ukraine as a pawn, and the EU sadly has been Americas whore .. EU backed the Maidan Nazis that carried out an illegal coup of an elcted Government, the EU REALLY should stay out of it, Europeans are not Americans, people know whats going on behind the curtain .. EU STAY OUT !!!! This review clearly reveals the mentality of the majority of russian that are still living in Stalin’s time and continues to buy the dream of great Russia and western enemy. A people with no democratic culture, without respect for individual freedoms of press or speech. People that have no respect for minorities. It’s people who supported and supports a nationalist and fascist culture allowing the existence of neo-Nazi groups that attack at the sight of the police and with his connivance protestor against the homophobic policies of the authoritarian and corrupt government of Putin’s KGB agent. How does a police officer responsible for the deaths of millions of Russians reaches the presidency of your country? How does a police officer responsible for the deaths of millions of Russians reaches the presidency of your country ? You are not ashamed to defend a state of mobsters and criminals ? A government that kills journalists ? Are not you ashamed to defend a government that restores the figure of Stalin , a murderer responsible for the deaths of millions of Russians. A Fascist responsible for the deaths of thousands of Poles, Czechs , Hungarians , Germans and many other citizens of countries occupied by Russia for nearly 50 years after World War II . Are these ignorant people the ones that continuing to try to give us lessons in morality and democratic respect ? The recent Russian offensive in Ukraine can only be dealt with harshly. Europe and the democratic world needs to come together and through harsh measures put Russia in its place . The measures will also reach us but we must be prepared to take the price of freedom , democracy and international law . We should not forget that the argument used by the Russians today is the same as Hitler used to invade Poland . We must stand for democracy. You really do watch too much RT. It’s frying your brain. “elcted government.” It is now 2017 and Ukraine and Russia are at war and Ukraine is killing Ruski insurgents like there’s no tomorrow. Ruskis have no room to call people Nazis, as you are the ones who made a war in Europe possible by giving the Nazis a million tons of oil. EU and the US are not staying out of it, they are bringing an end to your fascist country once and for all. Once Ukraine becomes a NATO member Russia shall be nuked. You linked to a conspiracy theory nut who claimed in 2012 the world will end and then in 2013 that the world will end again and you want us to believe you? You are about the only one on here, other than Bastian, who understands what is really taking place. However, listen when I tell you this, trying to inform and educate those who don’t want to hear is a fools game. As the old saying goes, you can lead a horse to water but you cannot make it drink. Those who are living in the dream world of the EU lavish lifestyle they can have in one easy swoop, don’t want to end that dream in the existence of reality. There is, unfortunately, nothing you can do for them. They have all the information they need to know the truth right on here on this forum, if they choose to take it on board. But to them it doesn’t taste as good as fantasy. E.U. must stop supporting illegal new nazist government in Kiev and sit with Russia and ask a national unity government in Ukraine which will bring peace. National unity with whom? With Russia, which occupied part of Ukraine and parts of Georgia and Moldova? Sure deal, you will get unity as a serf of Putin regime. Alex, you seem to be what we call, a troll. There are NO NAZIS in the Ukrainian government, and “Maidan” wasn’t about any nationalities. Do you even know, that the first man shot by the riot police on the Maidan was a Georgian guy named Sergey Nigoyan? Or You think, that me, a man with Hungarian nationality is a Ukrainian nazi two? You people, who think, that some nazis rule Ukraine, you simply don’t understand the main reasons of the revolution. The main reason is very simple: people where fed up by the criminal regime of Yanukovich. Even if the Maydan was supported by the west, it was also supported by at least 70 percents of Ukrainians. When you talk about the new government don’t mix up nazis with nationalists, those are two absolutely different things, so don’t be fool, don’t mix it up. I think you simply can not imagine what means to pay the taxes for tens of years and get nothing in response from the government, and then, when it is already a bad situation comes Yanukovich and manages to make it even worse. Imagine, that there is 4 billion dollars a year the amount of tax payed only from the sales of gas and diesel in the country, but our roads worse then rubbish (Top Gear was here in 2013, they where shocked). Imagine that there is no medicine, no nothing! Those are the true reasons of the revolution. You think it’s that easy to just make a revolution by paying some nazis a few dollars? Then why there are no such revolutions in countries with well developed economic system? The answer is obvious: because in a such country any revolutionary ideas would fail because of lack of support from the citizens. Ukrainians are fed up, that’s it, we don’t want Yanukovich, and we don’t want Putin. We don’t know how it will end, we haven’g got the necessary power to protect ourselves, we can only hope, that all this will end with a positive result for us, and that may be possible if the west (US and EU) will help us to survive the ongoing. Tymoshenko will steal everything that is left and give it to USA and Euro corporations in exchange for payments to her. She did it before and will do it again. Enjoy the increased gas, water, electricity prices and the fewer services. I am not a fan of the americans but this time they are right. RUSSIA is *NOT* out friend and countries like Poland and Romania are afraid. As a romanian we remember very well the “friendly” Russia who RUINED our country! Marcel you seem to be quite ignorant of history or a troll. Also pray tell me if Ukraine has the neo-nazis, why do ALL far-right neo-nazi Europeans support…RUSSIA? History on this site seems to point to you as ignorant, and quite the personal attack machine. Suppose you missed the part where European neo-nazi groups joined their friends at Maidan. 1. Romania joined the German Army in its attack against the USSR in 1941. The USSR agreed with the USA and the UK in Yalta (Jan 1945) to create a buffer zone that would safeguard its borders from any future attack from Europe. The unconditional surrender of Germany (Potsdam Pact 9-5-1945) included clause for war reparations to the victims of agression. The USSR managed to extract those war reparations from Germany (the Eastern part) and its WW II allies during the period of Soviet control over eastern Europe. Countries like Hungary, Romania and to a lesser extend Bulgaria, paid the cost of siding with the wrong side in the war. Greece, on the other hand, still waits more than 400bn USD in WW I and WW II reparations from Germany (Italy paid them by constructing infrastructure like dams in the 1950s) and it is the only country not being compensated for by Germany (Yugoslavia was the second but Germany managed to dissolve it in the 1990s). 2. The diplomatic agreement that preserved peace and stability in Europe for almost 45 years (Yalta, 1945), was replaced by the Bush-Gorbatchev agreement (NY-1988, Malta 1989) that led to the re-unification of Germany, the colapse of the soviet-style regimes outside the borders of the USSR and a consensus that ex-Soviet states would remain in the Russian sphere of influence. This agreement led to the current path of Romania being a member of the so-called “European Union”. 3. The neo-nazionalist German elite miscalculated its strength and tried to extend its sphere of influence first by dominating the eurozone states (starting from Greece 4 years ago, turning it to debt colony) and lately by supporting subversive actions undertaken by old allies against old enemies (using the pattern that led to the dissolution of Federal Yugoslavia and the destabilization of the Balkans). The Ukrainian nazionalists undertook action against a pro-Russian regime in Kiev when it decided to join the Russian-led customs union instead of the West European Usurers Corporation (led by Germany; disguised as “European Union”) 4-5 months ago. That blunder violation of the Bush-Gorbatchev agreements which are being considered valid by Russia, triggered the Russian reaction. No need reminding what happened to Russian minorities in the Baltic states that were deprived of citizenship since they could not learn the new official languages of those states when they declared their independence in 1991. 4. The above historic experience, along with the looting of Russia by the international usurers gang (IMF leading figure) in the 1990s (Yelzin’s regime) that led to the bankruptcy of 1998, fomented a more autocratic but more equitable for ordinary citizens regime in Russia. This regime simply states an old but golden value in international politics: pacta sunt servanda (agreements shall be preserved). Taking advantage from the fact that in some regions of what was Ukraine at the starting of this crisis, the majority of the population were Russians or Russian-speakers, they started the destabilization of the new, non-legitimized regime in Kiev using the same tactics that led to the subversion of elected President Yanukovich. 5. Regarding Romania, the situation in Ukraine may become profitable for your country, should the regime in Kiev collapses or Ukraine be divided and its southern and eastern parts came under Russian control; with the loss of Transdniester region, Moldova may re-join mother-land Romania under certain guarantees for Russia’s security. No need mentioning that Romania (as it is the case for the Baltic states) is a member not only of the “EU” but NATO (the strongest military alliance in the World) and has nothing to fear from Russia. Anyone can see my previous comment(addressed to Alex)? Or I got banned? Does any of you know what Nazim means…and how come anyone who wants to get out of Russian influence became a Nazi. To Russia: Nazi is any citizen of a neighboring country that wants to speak its own language and decide its own future. Or anyone who speaks of any of the atrocities committed by Soviet regime. To Russia: Any Russian that supports occupation of neighboring countries, supports Russian autocratic regime and whitewashes past crimes of Soviet Union is a patriot. Any Russian who questions actions of Putin in Ukraine or challenges the regime itself is called national-traitor. Putin himself used this term and it is constantly used by Kremlin TV stations. In combination all these things are part of Russian so called ‘special democracy’, whatever it is… But it seems that majority of Ukrainians were not very keen on adopting it. Ukraine should stop being invertebrates and attack pro Russian miltia immediately, showing strong determination and struck fear in outsiders. At the moment Ukraine seems to be a big joke. Europe should give the Americans the middle finger and cooperate with Russia. In dismantling a sovereign state !? Are you serious? ????????????? ????????????? ?????? ?????? ? ???-????????,? ?? ?????? ??? ??????.??? ???????? ? ??????? ? ??????? -??? ?????????. The EU is stirring the problem! For the first time in a long time, the European dog is waving the American tail! … And we are here to help, but there is only so much that we can do and the homework must be done at home. I wish the moderator of this “debate” would remove insults and personal attacks. These are not constructive and do not enhance cooperative problem solving, which is, in this particular topic, what we are looking for – cooperative problem solving. Russia is not communist but FASCIST. Hatred for anything other than heterosexual, white and orthodox ? Check. Cripple Russia economically and not bother with costly war. Start by taking away russian citizens visas, deporting them, and seizing assets above 100k $/euros. Obviously you are unaware of Europe’s dependence on Russian energy resources! Ukraine faces a 50% rise in gas prices and will collapse overnight or criple its production and freeze its population next winter! Game over for Germany and the euro-zone! PS Seizing private assets violates domestic laws (not taking into account international rules) thus jeopardizing the well-marketed “globalization”. Think of the consequences: they are tremendous! Patiems ukrainie?iams reikt? daugiau imtis inciatyvos,juk jie mato visk? i? arti,vald?ia miega,duokit rusams atkirt? 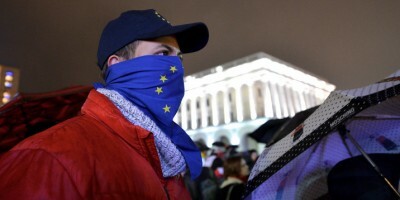 What can EU-Europe do in face of the crisis in the Ukraine? Unfortunately not much as the EU establishment has unintelligently outsorced its (military) security to the Pentagon. What is left are “soft skills”, i.e., Mrs Ashton can try to persuade Washington and Moscow to restrain themselves, but without “hard” skills we will depend on the good will of the other side, as it always is with “soft” skills. As the EU is structurally unfit (similar to the Habsburg multicultural monarchy 100 years ago) to have its own formidable “sword”, at least France and Germany should provide a common military capability which can independently counterbalance Moscow, or any other global opponent. Only to follow Washington, might appear comfortable but will always have its price, which is often to neglect ones own vital interests. The West European Usurers Corporation has no option left but to be dragged by the USA foreign policy decisions not due to the fact that it has no independent military capability, but because it is vulnerable to both sides: the USA via IMF/ECB control over the PIGS and the structural problems of the euro-zone; Russia due to central Europe’s energy dependence on Russian gas. 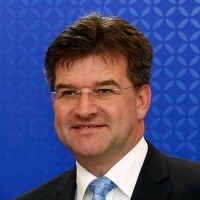 Germany gravely miscalculated and undertook subversive actions against Yanukovich when the latter decided to join the Russian-led customs union instead of the EU one; power vacuum in Kiev as well as the blunder of local nazionalists to ban the Russian as second official language of the state, fomented reaction in Tauris/Crimea first and the mostly Russian-speaking eastern parts (where the subversion of Kiev’s rule is on full-scale). Now, it is a power game between the two ex-superpowers. France, as a peripheral euro-zone state, has no political might (since it is a puppet in the hands of economically-strong neo-nazionalist Germany); Germany has no military might nor the economic means to support its expansionist policy in Ukraine. Masters of the game: V.Putin and B.Obama. ???????, ? ????????????? ? ????????? ????????????? ??? ?????? ?? ????? ???? ???????. ????????????? ?? ?????? ?, ????? ???? ?????? ?, ???? ?? ??????? ?, ??? ????????????? ???????? ? ??????? ? ?????? ???????, ? ?????? ??? ????? ??????. ?? ?? ???? ????????? ?, ??? ??? ?????? ????? ?, ??? ??? ?? ??? ???????? ??? ?? ??? ????????????. ???? ?? ?? ?????? ????? ??????? ??? ???? ?????????? ???????? ?? ???????? ????????, ? ??? ?????? ? ?????? ???? ????! Ivan Bilokapi?, You are totally wrong! USA and EU has to cooperate and stop TerroRussia once and forever. Putin is a killer, and he does not understand anything but the language of power. No Fascist in Ukraine ? Dont tell me that Right Sector is from Russia, from 2012 before the Euro Cup, the Neo-Nasists in Ukraine already said that they would attack those blacks and Asians, if you keep ignoring this,then it’s your problem. Tim, you are being stupid, you are mixing up two totally different things, or even three of them. The right sector is not Nazis, or fascists, they are nationalists. That’s completely different. Fist of all you have to understand a very important thing: the so called Right Sector is not a single organisation. It’s a bunch of nationalistic groups, so the Right Sector as a single organisation couldn’t really say something in the name of every “participant” of it. Some of these groups never even wanted to be the part of something like the Right Sector, but they where classified by the public as participants because of their nationalistic ideology. The Right Sector is a synthetic idiom created to scare the people, nothing more. I live in the most western city of Ukraine, I’m Hungarian by nationality, and I have absolutely no problems speaking Hungarian on the public, also I speak Russian every day, and still no problems with that. I have heard a lot of stories about those scary Nazis, and I have even believed those stories, and when I traveled for the first time to the homeland of the most nationalistic Ukrainians, to Lvov (or Lemberg), I’ve been shocked when I had to find out, that no one gives a f*** if you speak Russian or any other language. Lvov is a very civilized, multicultural city with tons of tourists, just like any other European city, actually near 40% of people in Lvov speak Russian (and again, that was a shock for me). Tim, are you a citizen of Poland? What means (in your profile), that you have been working at the “????????? ????? ????? ?”?Or maybe you are from Russia? And maybe you get money for generating anti-Ukrainian comments? Trolling is your job? Safety first, so reinforce the borders would not be a bad tactical idea. Secondly, reach (fast, yesterday fast) a common negotiation position among union members, and third turn off the imports/exports from/to Russia. Just to make it clear, I’m trying to say, that the world has to remember, that it wasn’t the USA or the European counties who kept killing people after the WWII just for thinking different. We all have to remember about KGB and the GULAG-s, Stalin, the communism and it’s results… You would say it’s in the past? Do you realize, that Putin used to be (really used to be??) a KGB officer? Putin took Crimea like nothing, that move made unreversable everything. Back in the late ’60 after invasion of Czechoslovakia it was a joke that was tell among former socialist ( Moscow puppets/satellites) countries. ” – What countries border the Soviet Union ? Unfortunately the cruel reality is not too far away at almost half century from then. Russia will never change their imperial (big and powerful country) ambitions/ claims. For russians seizing new territories and impose their will is like breathing. Well Ukraine is special because there are indeed two countries “forcibly glued” together with duct-tape by Nikita Khrushchev back in the ’50’s. One half is pro western – catholic polish influenced, and the other half is orthodox russian ethnic dominated pro Russia. Gabor Molnar ????? ?????? , ?? ???? ?????? , ????? ??????????? Mockba Rossija, I’m really glad to see the “level” of your culture (or should I say, the absence of it?) ???? ???? ? ??????????? ??????? ??????????. 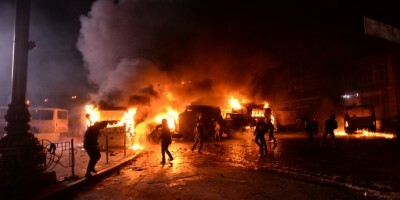 Sorry for Ukraine citizens (not government -that one who banned Russian, don’t say is false, just read the news), but NOTHING, we have our own problems, what we should do, in the big crisis we have enter a war? Why EU citizens should pay that??? We don’t need their gas or petrol (we could install in all shout of EU solar panels), nor their problems, Americans could manage with gas, petrol and their “defence” missiles systems (those that they want to install in Ukraine pointing to Moscow). If Obama and Putin want a war, it is their business, not ours. Also, keep countries of persons like some trolls here out of EU, we don’t need more radicals in EU, unfortunately, we have our own fascists and racists. WE didn’t say anything because we were not ukrainians. In short, Russia has showed recently through the Syrian crisis that it is the main player because US and EU is following monitor and watch policy. As for me, it is the worst option to apply because it gives a huge opportunity to prove its existence strongly on the international scene. In other words, Russia will do the same in Ukraine because Russia has felt the sense of strength on the international scene. If US and EU need to stop Russia from invading Ukraine, they have to work not to talk. For example, they can show some seriousness about the situation in Ukraine by waiving and strongly that Syrian scenario must not repeated any more or under any conditions. Everyone hating on the Germans again,while actually we are just Americas poodle. The SET THE RECORDS STRAIGHT? Read up on Ribbentrop-Molotov’s pact in 1939. Russia has ALWAYS collaborated just fine with NAZIS. And Stalin and Hitler would have been best buddies if Hitler hadn’t attacked. Besides we’re talking about NOW not 90 years ago. Where did i say i want to “erase the russian nation” ? Don’t put words in my mouth. For example Hungary is just waiting for a reason to stir trouble within central Romania. Recognizing Kosovo or even Crimea or any of these regions would legitimize THEIR claims too. And what about Serbia? What about Slovenia? Every damn town declaring itself “independent” ? We’re supposed to more towards MORE unity not more fragmentation ! Well let s say it that way,when Russians going to civil war it never ends good. Scrap the damned treaty, apologize to everybody and mostly to Ukraine for instigating the coup which caused all this and dissolve the EU. I think the EU should find it’s own gas and oil sources and watch Russia completely implode into nothing. EU must waiting when russia will comming to EU :D And relax. Countries out of EU isn’t so much important… but reality says: This is official position of EU. Ukrainians won’t forget what EU realy nothing doing. They will understand this position, but won’t forget. This shows real face of EU – When your candidate fight for be a part of you while you are just staying near and looking. Let’s clear a couple of things..
1.	Who is being invaded and who is the invader? Russia is invading Ukraine. So Ukraine is the victim and Russia is the criminal. 2. Should the EU or other countries be concerned and even help Ukraine in stopping Russia takeover? History teaches hard lessons. Last world war allied countries reacted late and too slow as Hitler had already taken over a big chunk of Europe. This resulted in massive human loss of life and misery. Action must be immediate and swift, not letting the perpetrator to grow in power and gather his forces. Conclusion: Russia is pushing and setting up the scenario of world war III. This cannot be tolerated and the problem must be eradicated at the roots immediately. Seriously after Putin just said today, ‘dont mess with nuclear Russia’ it just proves how much of a little ***** he is. I dont care what the circumstances are, bringing these types of threats because the whole world is pissed off at what your doing, the whole world needs to find ways to snipe this twit off. Geoffrey makes a good point, and i think the west should do something covertly to stop this country from being able to do anything. I feel so sorry for the ordinary Russian citizens being brainwashed no worse than the north koreans. Is it true that the US funded some Ukrainian pro-western news outlets during the 2014 revolution? And if that’s true, should we, as European Union, support their decision?